Practicing self-care isn’t always easy; for those of us who lead busy lifestyles, have stressful jobs, or are raising families that need lots of attention, it can be tricky to work in me-time. Not only that, you may feel guilty about taking moments out of your day to focus on yourself when there are other things to be done. However, it’s so important to make sure you take good care of your body, mind, and soul every day, not just when you get sick. Learning how to eat right, reduce stress, exercise regularly, and take a time-out when you need one are important ways to take care of yourself and can keep you healthy, fit, and happy. So how do you start taking better care of yourself? Fortunately, there are many things you can do to achieve these things. 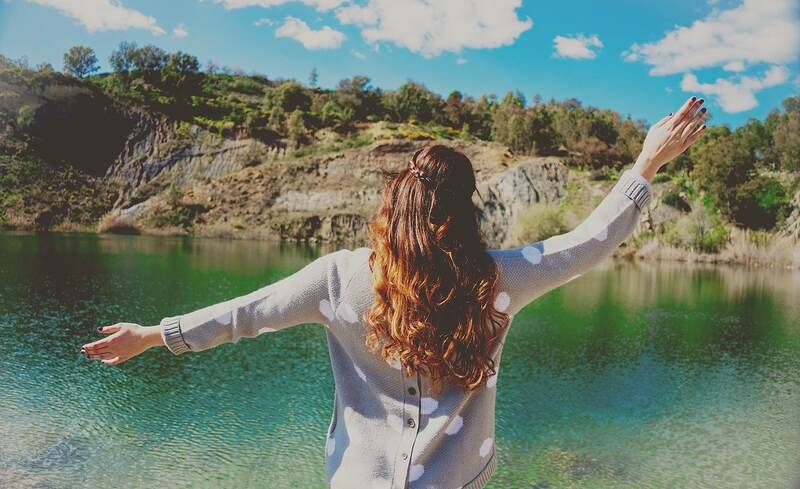 From creating an easy schedule in the mornings to reduce stress to pre-making healthy meals that will be simple and quick to cook after a long day, there are several ways you can ensure that you’re on the right track when it comes to self-care. ​Think about the overlooked practices, such as taking the time to make yourself a hot meal, watching a good movie when you’re feeling stressed, and learning how to journal and get organized. Take a good look at your daily schedule and suss out the areas that could use some work. For example, if traffic is stressing you out, consider carpooling with a coworker. Not only does this help reduce the stress of driving, it can help you save money each month on gas and car maintenance. If the kids are having trouble with getting to bed at a decent hour--which can be stressful for any parent--consider setting a new bedtime schedule that will help them relax and prepare their minds and bodies for good rest. Keep reading for some wonderful tips on how to take care of yourself every day. The way you sleep can have a huge effect on the way you feel both mentally and physically, and it can even cause health issues if you don’t get enough. Good rest is often elusive when we feel stressed, are overworked, have undiagnosed disorders (such as sleep apnea), or don’t have a bedroom environment that is conducive to deep sleep. Start by thinking about your nightly routine. Are you eating or drinking before bed? If so, what kinds of food and drink? Caffeine can be found in many things, from tea to chocolate, so pay close attention to what you snack on up to a couple of hours before bedtime. Reducing stress is also imperative, and this is a very personal activity. If your stress is work-related, think about the best ways to make your days go more smoothly. You might talk to your employer about lessening your workload, or settle a disagreement with a coworker. The next step is to make sure your bedroom is the best possible place for you to get good REM sleep. It should be quiet, free of distractions (such as a television), and just the right temperature (cooler is usually better than warmer). Use room-darkening blinds or curtains to keep the sun out in the mornings so that you won’t wake up until your alarm goes off. Your gut health can have a significant effect on the way you feel. From the types of foods you eat to the bacteria that lives in your stomach and aids in digestion, there are many details linked to your gut that can change your overall health. In some cases, supplements or adding or eliminating certain types of food and drink can make a difference, so it’s important to learn all you can about the various types of gut bacteria. For instance, Akkermansia can control your weight, while Bifidobacterium protects the lining of your stomach from bad microbes. Daily exercise is important at every age, from toddlers to seniors, and it’s imperative to find a workout that you’ll be able to maintain. It might be hard, for instance, to keep up with a highly-energetic routine every day, so vary the activity level by using exercises such as swimming, yoga, and walking/running, all of which can be changed according to your schedule and physical needs. Daily exercise can help you both physically and mentally, boosting your mood and reducing stress and anxiety, so it’s a good idea to create a routine that works for you. Yoga is a perfect exercise for many different people, because it can be altered according to specific abilities. If you have an injury, mobility issues, or need to work on your balance and stability, there are certain poses you can do that will boost your strength and agility. You can also do them in the water or with the aid of a chair, which can help you stay safe. Everyone knows that the food we eat gives us energy and has the potential to either keep us healthy or contribute to weight-gain or diseases such as diabetes, but it can also keep our minds working in tip-top condition. The right foods can help prevent short-term memory loss and inflammation, both of which can have long-term effects on the brain--and, in turn, the rest of the body. Fatty fish, blueberries, nuts, dark chocolate, and green leafy veggies like broccoli are all great foods to eat for your brain health, and they can help keep your energy levels up as well. Learning to say no isn’t always easy; many of us feel obligated to help out when someone asks for our time or energy. However, when you’re already stressed or overworked, always saying yes to these requests can lead to burnout, anxiety, and irritability, and it can prevent you from enjoying your life. It may take a little practice, but once you learn how to politely decline when you just can’t give your time to someone else can really benefit your mental and physical health. Taking a timeout can be good for you now and then. Even if you’re not feeling particularly stressed, getting away for the weekend can help prevent burnout, and will leave you feeling inspired and happier. These jaunts don’t have to be costly; simply drive to the next town over and see the sights, or spend some time walking around a museum you’ve never visited. Getting out of your regular schedule and taking the time to do something just for yourself is a great way to feel good about the world around you. Spending time outdoors can help you reduce stress, and it can also lower your blood pressure. 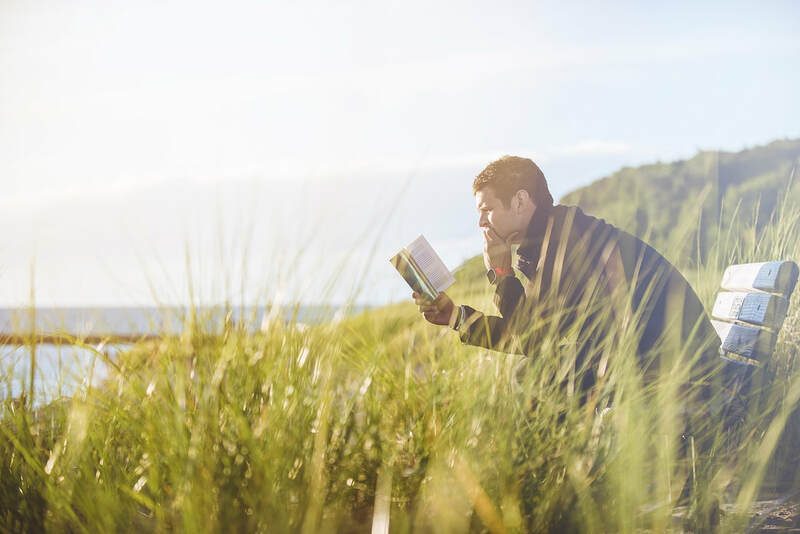 Studies have even shown that getting outside can help short-term memory and can eliminate fatigue, making it a great way to cope with symptoms of depression. It can also help you sleep better at night, especially if you partake in a physical activity like hiking. Pets can help tremendously when it comes to helping us feel better. 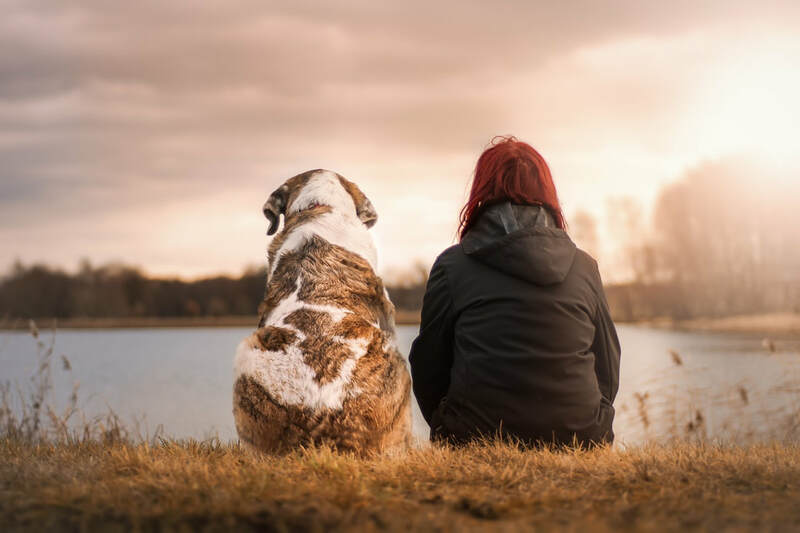 From giving unconditional love and loyalty to providing companionship, pets can be hugely beneficial for just about everyone. Dogs, especially, can help reduce stress and feelings of anxiety, and can even lower blood pressure. In fact, many people who suffer from disorders like PTSD have benefitted from working daily with animals, which is why service dogs have become so helpful for these individuals. Getting organized is often the first step to becoming a healthier you, because it allows you to focus on your mental health while reducing feelings of stress. Mornings are often difficult for families, as this is the time that many people are rushed trying to get out the door while making sure they have everything they need for the day. You can pull it all off by keeping a planner or a calendar on the fridge where you can write down all your responsibilities and appointments, plus getting your home well organized and decluttered. Create an area to keep keys, purses, backpacks, briefcases, and coats, and make sure they’re ready to go for the next day. Many people--including single parents and those who have busy schedules--often don’t take the time to make themselves a nice meal, preferring instead to stop for fast food or grab a quick snack. Much of the time, these small bites aren’t sufficient when it comes to feeding your body the right kinds of calories and nutrients, and going for a long time without eating a good meal can be detrimental to both your physical and mental health. Even if it’s only once a week, consider making a healthy meal just for yourself. You might look into a meal delivery service or a meal kit that will help you make interesting recipes to prevent boredom. Buying new clothes can do a lot for your self-esteem and confidence, from positively affecting the way you perform at work or school to helping you feel better about your appearance. Consider going shopping for some new clothes, jewelry, and accessories, and don’t forget about what you wear underneath! Buying new socks and underwear may not be exciting, but it can actually do wonders for the way you feel during the day. You don’t have to spend a ton of money if you’re on a tight budget; look for classic pieces that will always be in style, such as a white button-down shirt, a great pair of black pants, a pinstripe suit, and simple, understated jewelry. In today’s fast-paced world, it’s not often that many of us sit down to enjoy the simple things. We tend to turn to our phones for entertainment or comfort, scrolling through news feeds that can actually contribute to our stress and anxiety. If you want to reduce those feelings, consider bringing a good book with you when you leave the house. You might be amazed at the difference it can make when you slow down and appreciate a different world while waiting for an oil change or at the doctor’s office instead of looking at your phone. Not only can it help improve your mood, it will allow you to pass the time a little more easily. There are so many options across the many different genres--from romantic fiction to historical nonfiction--that you’ll be able to find something you like pretty easily. Look for small, easy-to-carry books that fit in your purse or briefcase. It can be hard for many people to find alone time, especially busy parents and those who work from home. When you’re home all day with your significant other or kids, it can be extremely difficult to get a moment to yourself, yet it’s very important to take that time when you can. It allows you to ponder the best ways to move forward in your life, and it keeps you grounded when things get hectic. Whether you want to go for a long walk, take a hot bath, or sit and enjoy a good movie, taking some alone time is imperative. Look for small ways you can incorporate it into your day; you might wake up fifteen minutes earlier to sit with a cup of coffee before the chaos of the day begins, or take a walk around the block on your lunch break. The more you can work alone time into your schedule, the better able you’ll be to cope with negative feelings when they come your way, and it can help you be the best version of yourself that you can be. In sum. Taking care of yourself can be tricky, especially if you have a lot on your plate. However, finding small ways to feel better can actually boost your health and help you live longer. With a good plan and a little preparation, you can ensure that your mind, body, and soul are well taken care of no matter your age. Author: Brad Krause, selfcaring.info. Self-care advocate Brad Krause is inspired to help others improve their overall well-being through self-care. ​Subscribe to get our best articles. Dr. Davis is the founder of The Berkeley Well-Being Institute. After getting her PhD in psychology at UC Berkeley, she started building online courses, apps, and products to boost well-being—products that have reached more than a million people. Now an author at Psychology Today, The Greater Good Science Center, and Shine Text, Dr. Davis's expertise on how to boost well-being reaches people all across the world. to get your free personalized report. Quick, easy, and 100% online courses — build skills you can use right away.